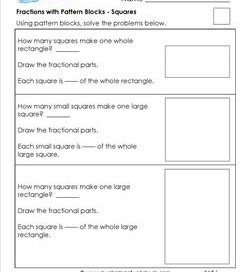 Kids create fractions with pattern blocks as a fun hands-on way for kids to visibly see and create fractional parts. 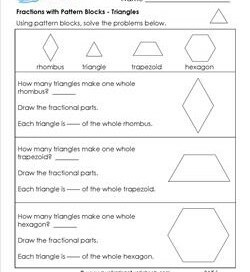 In four of these worksheets kids will fit the pattern blocks into the shapes on each page. 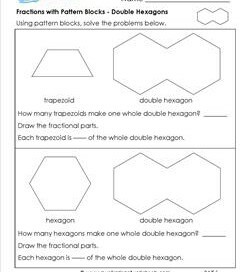 On the other two pages they create teh fractional parts and write their answers on the worksheet. 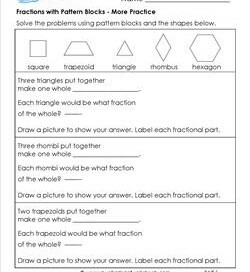 They will identify, draw, and label the fractional parts of 1/2, 1/3, 1/4, 1/6, and 1/8 (one worksheet has 1/12, too). 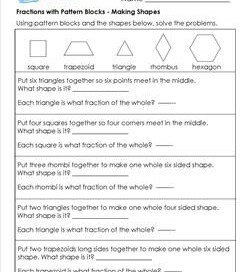 An answer sheet comes with each worksheet.